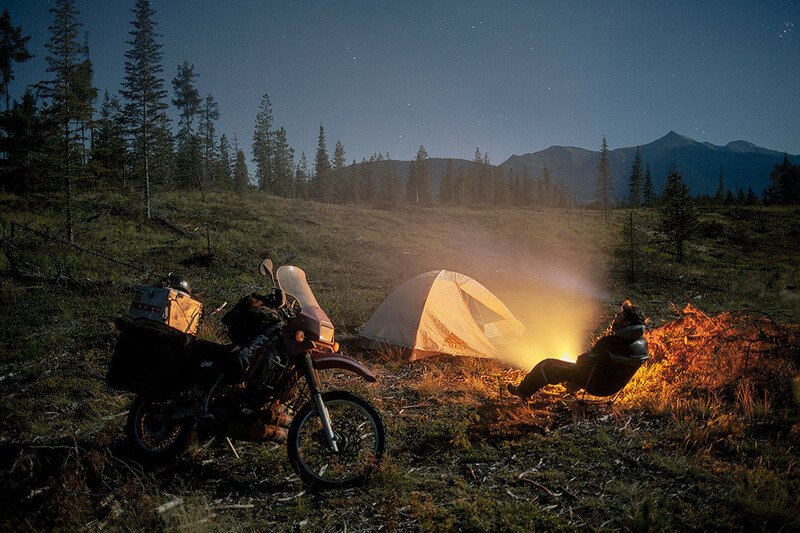 A hot topic in the world of adventure travel is often the gear people use on the road. We’ve had many requests to put up a detailed breakdown of ours, so here you go! We’ll update this page to reflect our impressions of the gear, whether positive or negative. Kawasaki KLR650 and BMW HP2 Enduro. More info here. 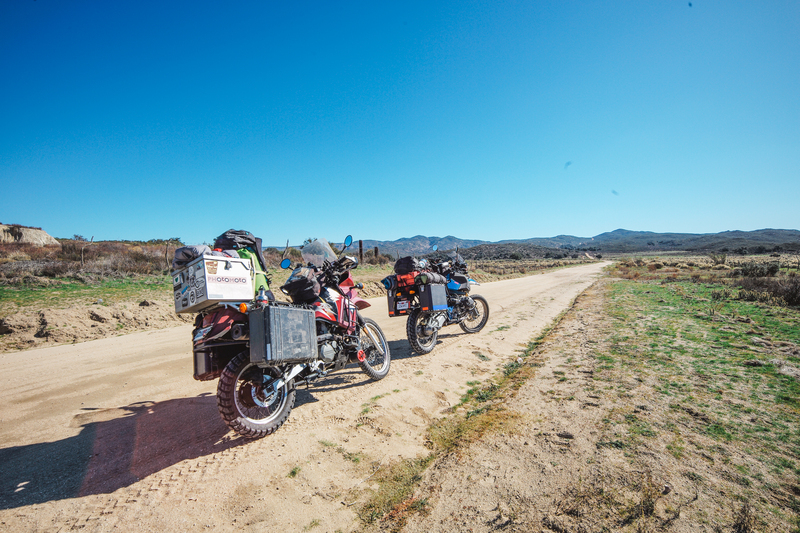 The KLR650 uses a set of customized Pelican cases and a custom top box for loading, along with various tie-down straps and a SeaLine Baja dry bag. It’s also outfitted with a set of Happy Trails crash bars and a Happy Trails skid plate. 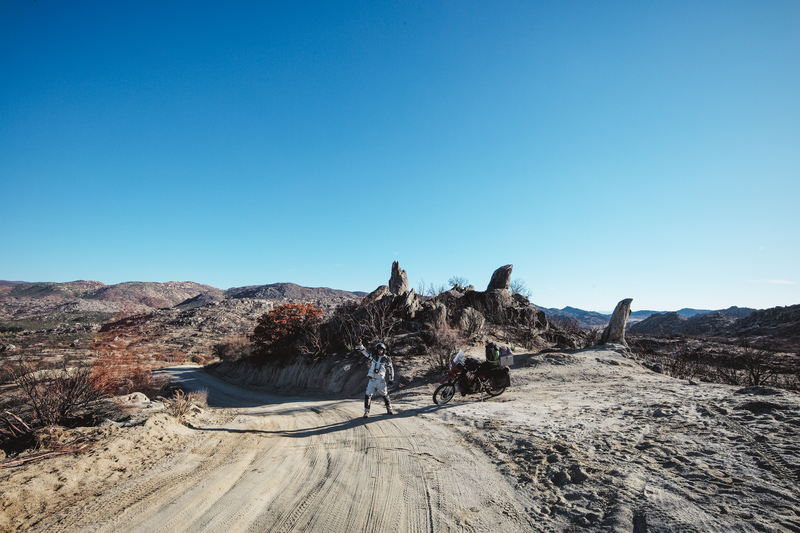 The HP2 Enduro has a set of Holan Nomada Pro panniers and a mixture of ROK straps and tie-down straps for packing, as well as also using a SeaLine Baja dry bag. We’re proudly outfitted by Rev’It! 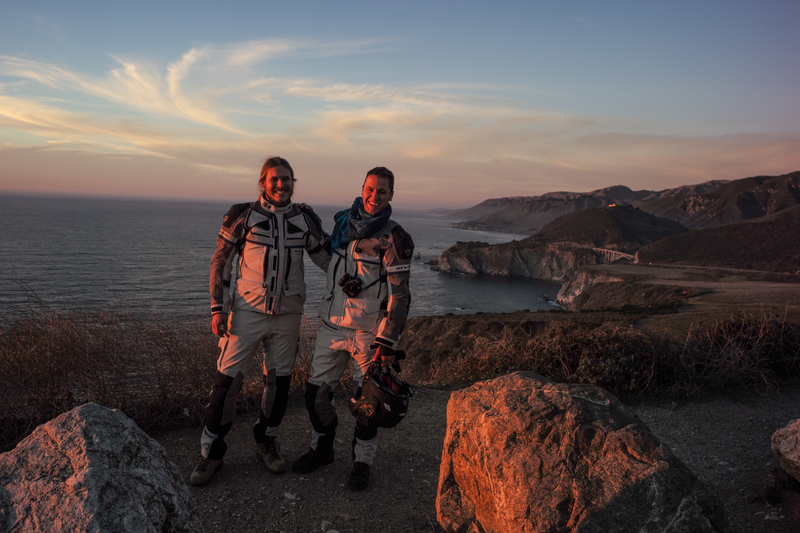 Both Stuart and Sebastiaan ride in full Rev’It Dominator GTX jackets, pants and gloves. Decorated with our one and only adventure patch! 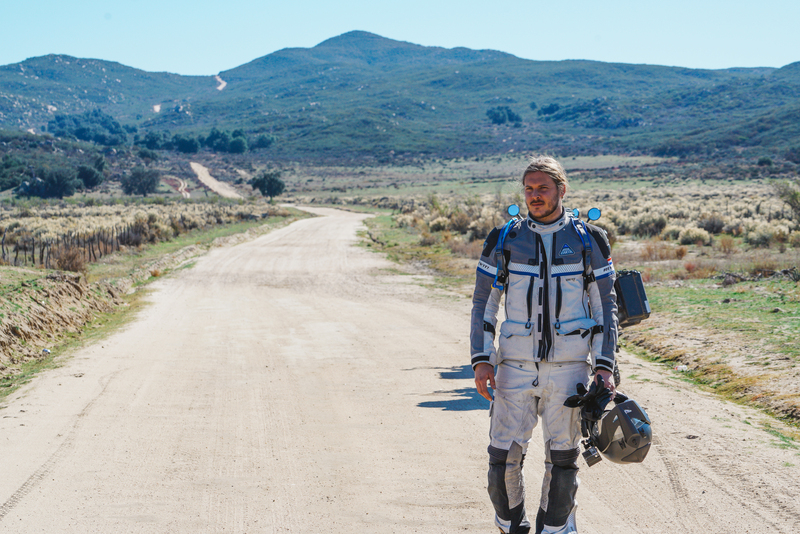 The Rev’It Dominator GTX uses advanced Gore-Tex and superfabrics to make one very safe riding suit. It features complete armor, is watertight but also allows for venting on hot, dry days. Since we both love to hike and pack light, we’re rocking stiff, thick work/hiking boots with plenty of ankle protection as opposed to riding boots. We use SENA SMH-20 headsets in our helmets to communicate and listen to music… and podcasts. Lenses: Leica 75mm f/1.4, Leica 35mm f/1.4, Zeiss 21mm f/2.8, Zeiss 25mm f/2.8, Voigtländer 12mm f/5.6, Konica Minolta (Leica) 40mm f/2.0, Sony 16-35mm f/4.0, Sony 70-200mm f/4.0. Video: GoPro cameras; two GoPro Hero 3+ Blacks with a variety of mounts and extra batteries. We use Brunton battery backpacks to record all day, using the ‘looping recording’ feature to capture any cool jumps, tricks, and bad mistakes alike. Induro CT-214 tripod with a RRS ball head and a set of plates for all cameras. We have a complete toolkit which we’ll detail at some point.